How to make your Acting Profiles for Auditions? We all have been actors at some point. We were professionals at acting coy in front of our teachers when we didn’t do our homework. We were professionals at acting innocent in front of our parents after a mischievous act. We were professionals at acting cool in front of our crush in high school. We were professionals at acting sad in front of our grandparents just to gain some sympathy and see them scold our parents. We were professionals at acting decent in front of guests just to please our parents. Then what is it that makes us different than any of the professional actors in the industry? I would say, the main difference is their ability to portray those emotions on a camera in all environments and situations. So, for all the actors out there buckle up your shoes and get ready to audition. In this, article I will be discussing some points that you will have to remember when shooting a video for audition. Film making industry is a growing industry and the duties carried on by a filmmaker is just too many. In this busy world, no one has the time to conduct auditions all the way through. So, they conduct auditions by asking for acting profiles and select the best among those. So, here are the things you should remember while shooting for an acting profile. The first and foremost thing you have to keep in mind is to have proper gear. You should use a good quality camera or a smartphone with a great camera. Always use a tripod to get the best shot and if you don’t have one, try to rest your smartphone or camera on a shelf or desk to get a best shot. Take two or three tries to see if your angle is perfect or not. Always note that this shot is not your last shot and you can always improvise. While, coming to the camera settings, I would suggest that you set the camera to 30 FPS, i.e., 30 frames per second because that is frames per second rate used by most filmmakers and directors. Also, always set your camera in landscape mode and not portrait mode. Landscape mode is what is expected by a director reviewing your clip. After setting up your camera, you need to take care of the external factors. Well, Background is very important and will add great appeal to your audition clip. It is advisable to have a plain light coloured background or wall as bright colors or showy backgrounds might take the focus of the reviewer off you. So, always go for a light coloured background, preferably white. Also, make sure that your costume goes well with the background and does not merge it. Make sure the focus remains on you. Choose a simple but presentable costume that will go well with the background. Another important detail is the lighting. Make sure the lighting is very good. You should always be facing the light and not the other way around. Use natural light if possible as it usually helps in making the video clip appealing. Also, set the camera as close to you as possible for a better audio but not too close that your face looks distorted. I would suggest that when filming your clip, frame a mid-shot, i.e., from your head to waist or chest or as much as your camera can fit. It is important as this will properly show the emotions on your face to the reviewer. A full shot might not express as much detail in your emotions and can deter your chance of getting selected. When you start filming your clip, always start with your details including your name, age, contact, side profile and any previous works if asked. When you actually start auditioning, never look directly into the camera. But also avoid complete side shots. Look straight but not directly at the camera, look somewhere off camera. While, auditioning, keep your movements to a minimum to avoid distraction. Also, if the script for the audition is not provided, i.e., you need select your own script, make sure you select one which will portray all the emotions on your face. Keep the script as simple as possible. Last but not the least, be confident. Confidence is the key to successful acting. So, leave your nervousness back home and step into the world of filmmaking with confidence. 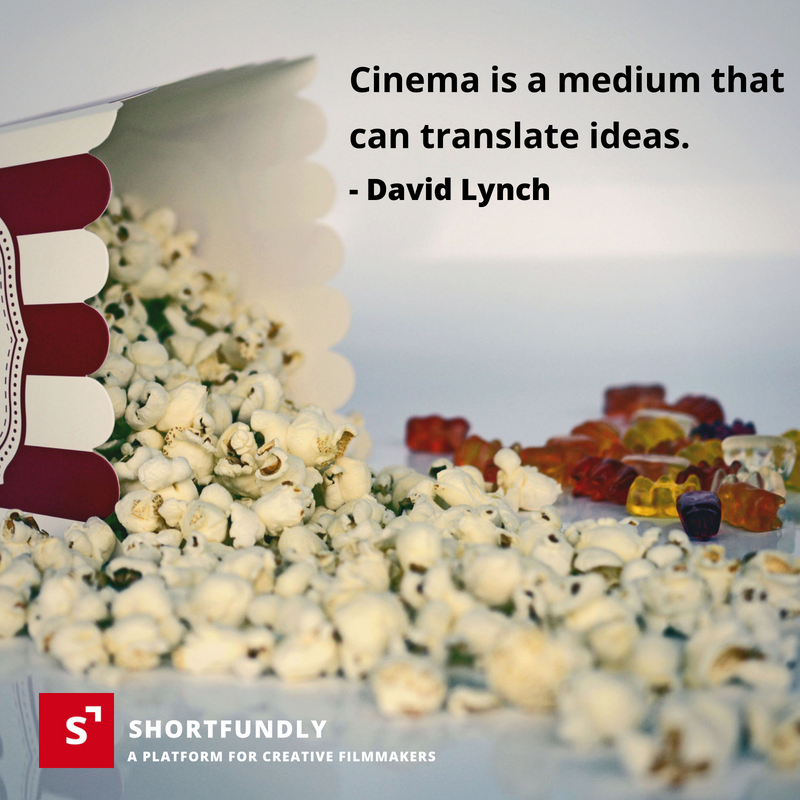 Also, you have better chances of getting into the industry by joining the film making community- Shortfundly.